Ravi is a Silicon Valley veteran with over 20 years of experience spanning business development, strategic planning, engineering and operations. He was most recently a Sr. Director at SanDisk heading business development and strategic planning for the Client SSD business unit. Prior to SanDisk, he was at Intel, where he spent 18 years, 12 years in engineering management and 6 years in corp dev/business development. He holds an MBA from Wharton business school and holds 8 patents. Rehan received his Ph.D in Electrical Engineering at Stanford where he focused his research on computer vision and low-power processors. Rehan has industry experience shipping multiple chips, optimizing GPUs, and creating image processing software. He holds multiple patents. He is an avid photographer. 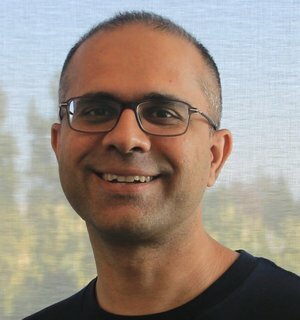 Wajahat earned his Ph.D in Electrical Engineering at Stanford, focusing his research on computer architecture, computer vision and speech recognition. Wajahat has worked in the industry where he helped ship multiple chips, image processing applications and Android apps. He is an avid photographer and squash player. Christos Kozyrakis is an Professor of Electrical Engineering and Computer Science at Stanford University. He leads the multi-scale architecture & systems team (MAST), a research group that investigates hardware architectures, runtime management environments, system software, and programming models for systems ranging from cellphones to warehouse-scale datacenters. His current research focuses on resource efficient cloud computing, energy efficient compute and memory systems for emerging workloads, and scalable operating systems. 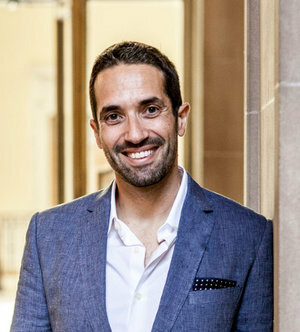 Christos joined Stanford in 2002 after receiving a PhD in Computer Science from UC Berkeley. His alma mater is the University of Crete in Greece. He is a fellow of the ACM and the IEEE.